Jayson Bernard Santos, the man behind some of GMA Public Affairs' award-winning documentaries, has left the Kapuso Network. In an interview with Media Newser Philippines, the multi-awarded producer explained the reason behind his resignation. "I've been honest with my bosses when I told them that my strength really has been producing and writing for documentaries and other related formats," he said. "While I've done two seasons of historical docudramas in the past (Ilustrado and Katipunan), my stint with Reel Time probably highlighted my skills." He added, "When I was given the chance to be part of documentary shows, beginning with I Witness and then Reel Time, it has been my goal to contribute to the genre’s increasing success, by choosing charismatic central characters with naturally dramatic stories and presenting them in innovative, memorable ways." Santos, who, prior to his resignation, served as executive producer of Reel Time, said it was a very difficult decision for him to leave the Kapuso Network, which had been his home for the past twelve years. "I will miss the fighting spirit. That never-say-die attitude of Public Affairs. While it’s been a cliché, pero madalas totoo iyong sinasabi naming ‘para sa bayan’. I will miss fighting alongside my team — specially now when the credibility of media is at stake, fake news are spreading like wildfire and the call for accountability is very important," he said. While he is no longer attached to a media network, Santos said he will continue doing documentaries as a freelancer, adding that he is also not ruling out the possibility of returning to TV in the near future. "There is still a possibility that I might reintegrate soon or reenter TV job. But should I return to the exact same role or career path, I will make sure that I show up to do my job entirely differently from the past. I will learn what my strengths are and what would make me more fulfilled and aligned at work," he said. A UP alum, Santos joined GMA Public Affairs in 2006 as a researcher, and eventually segment producer, for Ivan Mayrina's now-defunct magazine show Sapulso. A year later, he would also join Mike Enriquez's long-running Imbestigador as segment producer and headwriter — a stint which would last until 2015. 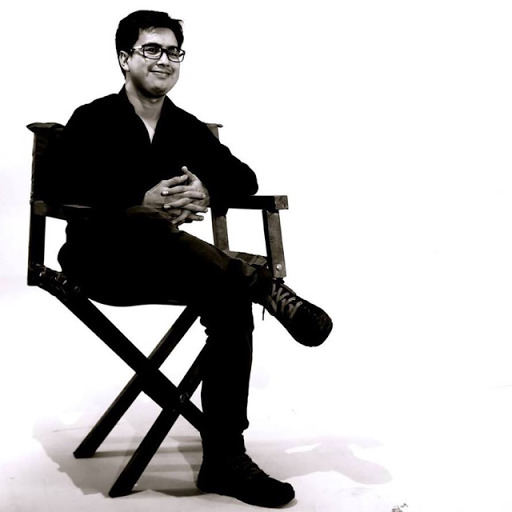 Most recently, he served as supervising producer of the top-rating GMA-7 anthology Tadhana. Among his most memorable works, however, were long-form documentaries — for which he has won numerous international journalistic awards — including the 2013 I-Witness documentary Burn, which was awarded with a Silver World Medal at the 2013 New York Festivals; Reel Time's Isang Paa sa Hukay, which took home the World TV Awards 2016 and a Bronze Medal at the 2016 New York Festivals; and Maling Akala, which received a Gold World Medal at the 2017 New York Festivals and a Silver Screen Award from the U.S. International Film and Video Festival.